Contemporary French restaurant DB Brasserie is scheduled to open this May inside The Venetian Las Vegas. 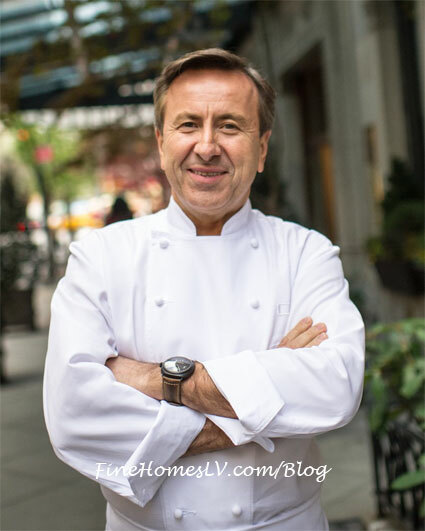 The opening is one the most anticipated culinary events of the year – Chef Daniel Boulud’s return to Las Vegas. With a menu created in collaboration with Executive Chef David Middleton, DB Brasserie stays true to Chef Boulud’s signature French-American cooking and modern sensibility with signature dishes including Poissons Fumes, Pissaladiere, Poulet Croustillant, and The Original DB Burger. Desserts including Chocolate & Salty Peanut Bombe, and Apple Tatin provide the essential sweet finish. The spacious restaurant seats 280 diners, including two private dining rooms, as well as a casual bar and lounge. Designed by Jeffrey Beers International (JBI), the group took inspiration from historic Art Nouveau brasseries in France to create a welcoming and convivial atmosphere. The exterior façade of DB Brasserie has been clad in travertine limestone panels, a reference to the public buildings that house some of France’s classic brasseries from past centuries. The restaurant’s centerpiece is an expansive faux-skylight reminiscent of those in classic Beaux-Arts train stations. Custom blackened steel panels, laser cut with a custom-designed Art Nouveau inspired decorative pattern, frame a grid of glass ceiling panels that are anchored by Art Nouveau-style brass globe pendant light fixtures. JBI employed authentic materials for the floors, using a custom cement green and white tile in a hexagonal pattern for the bar and several dining areas, as well as an oak wood floor underneath the skylight. The design elements extend throughout the bar and lounge, as well as the private dining areas. DB Brasserie will boast a wine program of approximately 300 international selections with special attention given to exciting new American wine regions. One section will honor the great classics of California, while another showcases the newest generation of winemakers responsible for opening the public’s eyes to domestic varieties beyond the classic Chardonnay, Pinot Noir, Cabernet Sauvignon and Merlot blends. Keeping with the tradition of Daniel Boulud’s restaurants, the list will also feature the best French producers from the storied regions of the Rhone Valley, Burgundy, Bordeaux, Alsace, the Loire Valley and the great Southern regions of Provence, the Languedoc and Roussillon.